MarksvilleandMe: Making your vegetable exciting. 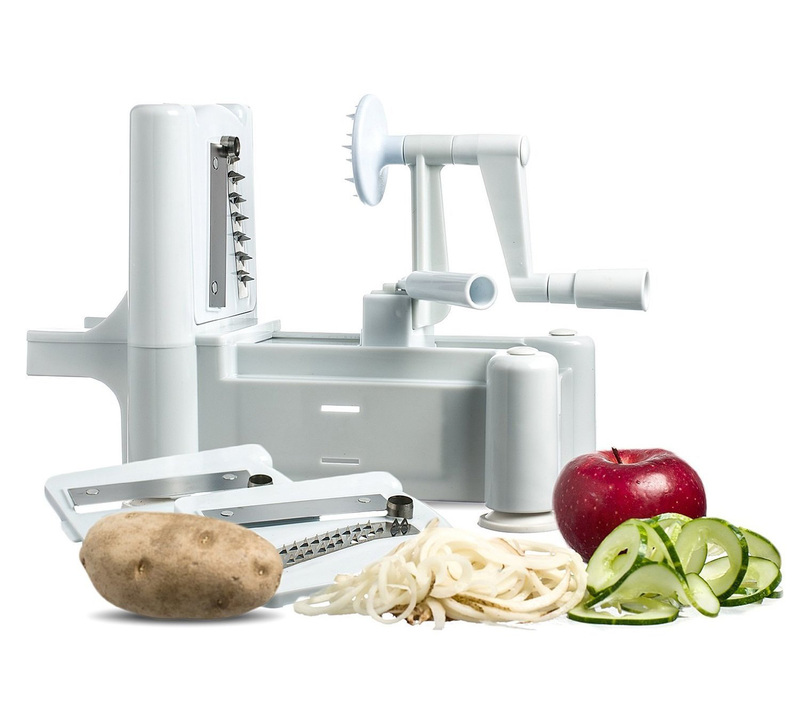 I have been blessed with a family that likes their vegetable and fruits, but not all families are they lucky so in steps the Kuuk 3 in 1 Vegetable Spiralizer where you can finally get some fruits and vegetables in your families bellies. Other great ways to get children to eat healthy foods is by having them help out in the kitchen, pick out new vegetables, and having your own garden. Great for vegetarians, vegans, raw food eaters, as well as anyone who wants to eat healthier or try a new way of eating something. You can purchase the Kuuk 3 in 1 Vegetable Spiralizer on Amazon.